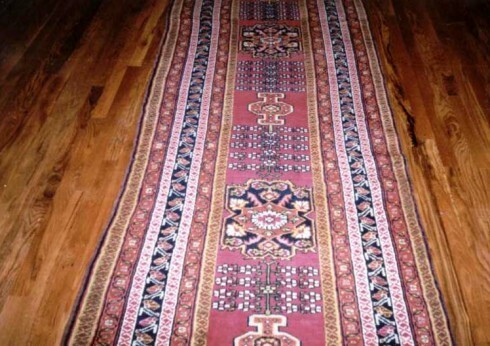 THE KARABAGH RUG - Made of high-pile wool significantly longer than that of rugs typically found in the Caucasus. The region of Karabagh, split between Armenia and Azerbaijan, highland and lowland, Muslim and Christian, has long withstood a fractious history of war and upheaval of it local populations. The region lies just north of the present day Iranian border, within the borders of Azerbaijan, though the population is mostly Armenian. The land remains contested to this day. It can, of course, be difficult to separate a historic region’s contributions to the arts from its war and politics. Nevertheless, such is our attempt when speaking about the culturally significant, even exemplary, textiles of the Karabagh region. In the history of rug-making, the area can claim one of the oldest known heritages in the world. Excavations of Karabagh archaeological sites show evidence of weaving crafts in the area dating to as early as 2500 BC. Karabagh carpets were among the most prominent exports of the Caucasus to medieval Europe, where the rugs were well known for their grand scales and fine workmanship. These medieval carpets are the progenitors of the later 19th and early 20th century carpets we refer to today as antique Karabagh rugs. In their golden age, at the peak of production for the international market, more than 100,000 people were directly involved in their design and construction. Karabagh was one of the most significant rug-producing centers of the world. The region perhaps owes its extraordinary success in the 19th and 20th centuries not only to its ancient rug-making history, but also to the unique value local populations have always placed on traditional woven arts. Somewhat at odds with the history of textiles among other rural populations, woven rugs of the Karabagh people functioned as important symbols of wealth, rather than as utilitarian crafts. Weaving was considered an essential skill for women, and in the traditional dowry, at least one piece was supposed to be woven by the bride herself. This local, traditional art took a turn, as did so many traditional arts in the early beginnings of globalization, when demand and opportunity arose on the international market, and women of the region began weaving high quality rugs for export to the west. Deep local experience can clearly be seen in their rugs produced for the world. The first derive from the classical Caucasian carpets of the eighteenth century, and as such, feature tribal geometric and medallion motifs woven in earthen colors. 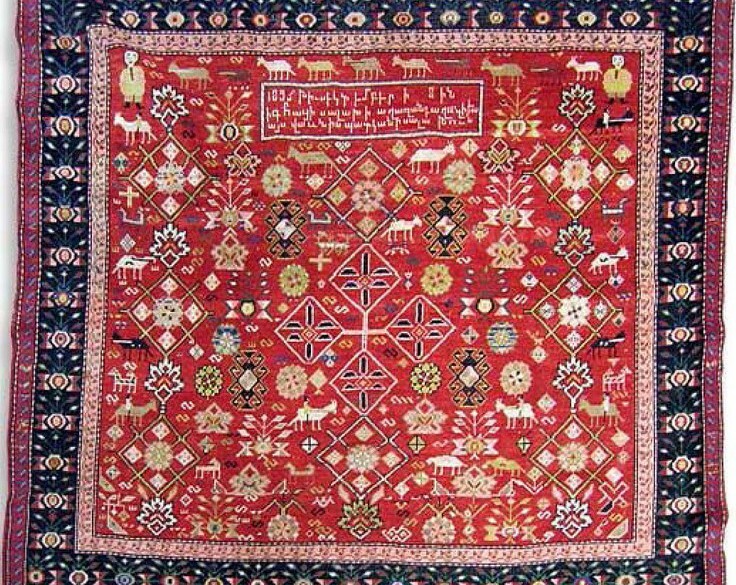 Many of these carpets are valued today for charming elements of folk art, such as small animals, that often appear in the designs. Others have closer ties to Persia, and these feature bolder palettes and ornamental Persian design very similar to the Kazak rugs of northern Iran. Despite certain differences in design, all Karabagh rugs share a common weave and materials that distinguish them as a category. 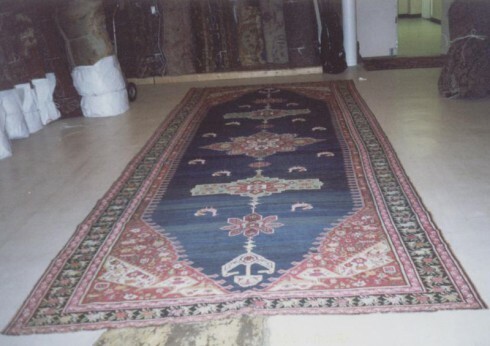 All are made of high-pile wool significantly longer than that of rugs typically found in the Caucasus. In addition, their distinctive weave features a double weft between every two rows of knots. Today, the rugs are in high demand, especially with designers, who have come to value the versatility of the Karabagh's intricate and dense patterns in modern interior design.